Would you like to interview potential candidates? 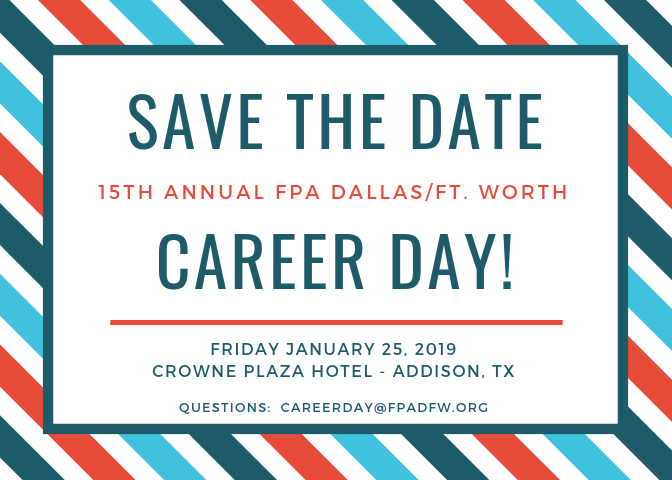 Send your contact information and level of interest to CareerDay@fpadfw.org no later than WEDNESDAY DECEMBER 12, 2018. RSVP at your earliest convenience as spots are limited.